The A-Class is Mercedes' smallest car, a premium hatchback that competes against cars like the BMW 1 Series and the Audi A3. 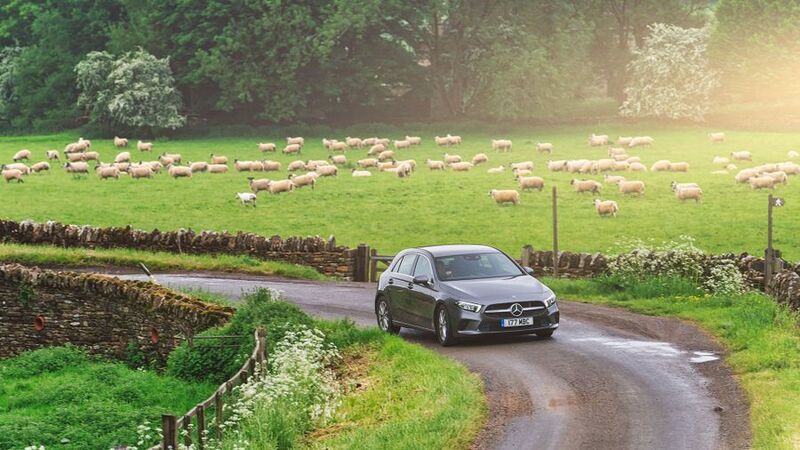 There’s plenty to like about the A-Class, including its beautifully appointed interior, its sharp looks, its competitive practicality, the generous amount of luxury and safety equipment on board and the innovative technology available. All that doesn’t come cheap, though, with prices that are significantly higher than rivals from Audi and BMW. And – especially considering the high price - the car really should be more comfortable on the road.  Interested in buying a Mercedes-Benz A Class? The latest A-Class follows family form, with looks taken from larger members of the Mercedes range. 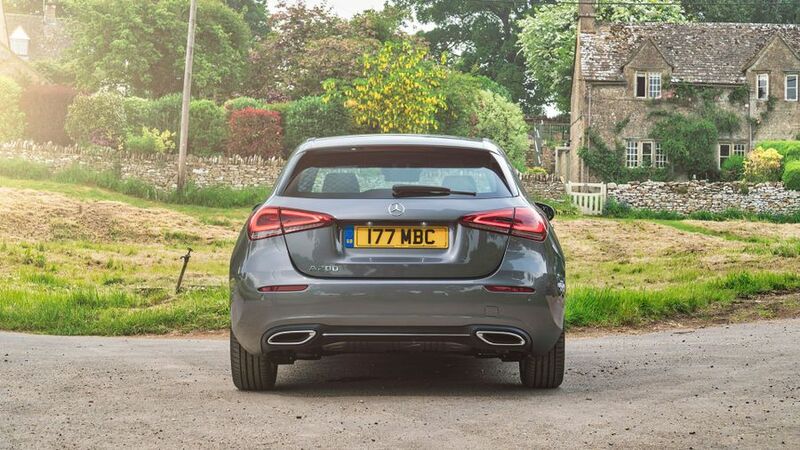 If you’ve seen the newest CLS, then you’ll instantly recognise the front end, which is one way of letting the perception of premium quality filter down to the smaller, less expensive cars in the Mercedes range. Strangely, though, while the front end looks high-end and theatrical, the rear end in much more conservative and derivative in its styling, which lessens the impact of the overall design. There are three trim levels available in the A-Class. The entry-level SE rides on 16-inch alloy wheels, while the Sport model adds some more powerful LED headlights and 17-inch alloys, as well as a pair of trapezoidal exhaust pipes. 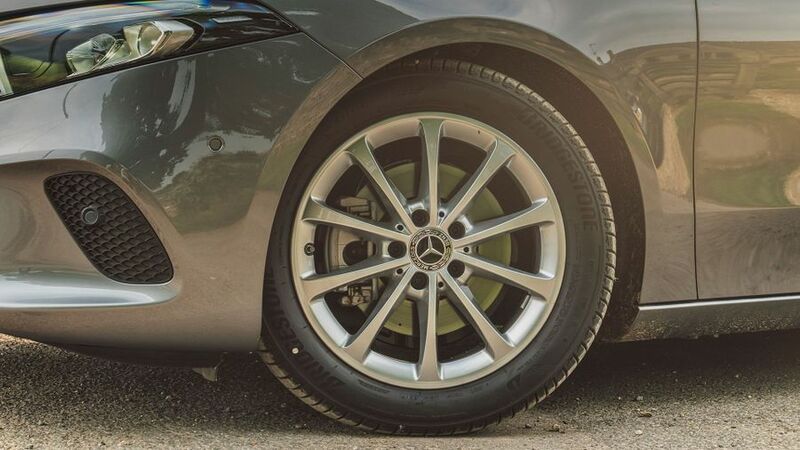 The top-of-the-line AMG Line sits on 18-inch wheels and comes with a sportier-looking bodykit. 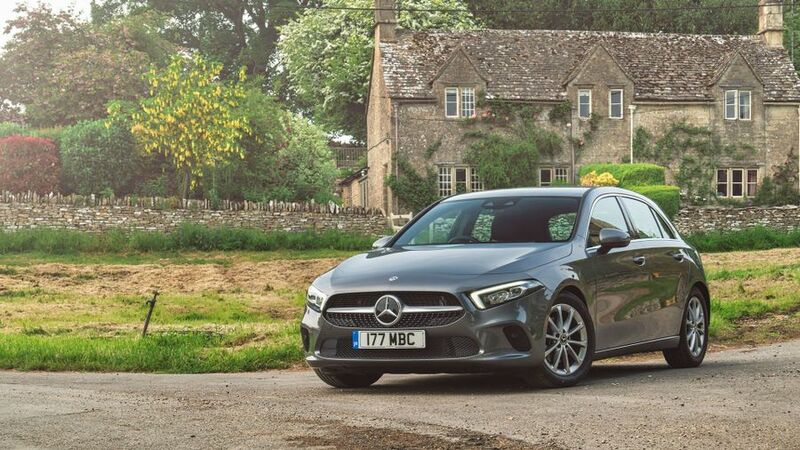 If you go for the Mercedes-AMG A35 hot hatch, you’ll get a lower stance and even more aggressive bits on the body for that motorsport look, as well as 18-inch wheels and a reversing camera. Once again, the A-Class’ interior mirrors those of Merc's more expensive models in terms of design. The headline feature is a pair of twin screens that stretches from behind the steering wheel to the centre of the car, much like two iPads merged together under a single piece of glass. A version of this system – called MBUX – is standard in all cars, although the screen sizes vary in different models. Half serves as your “normal” infotainment screen, while the other serves as a replacement for the traditional instrument binnacle. Most folk will operate the system primarily through its touchscreen functionality, but you can also move through the menus using a touchpad on the centre console and thumb pads on the steering wheel. 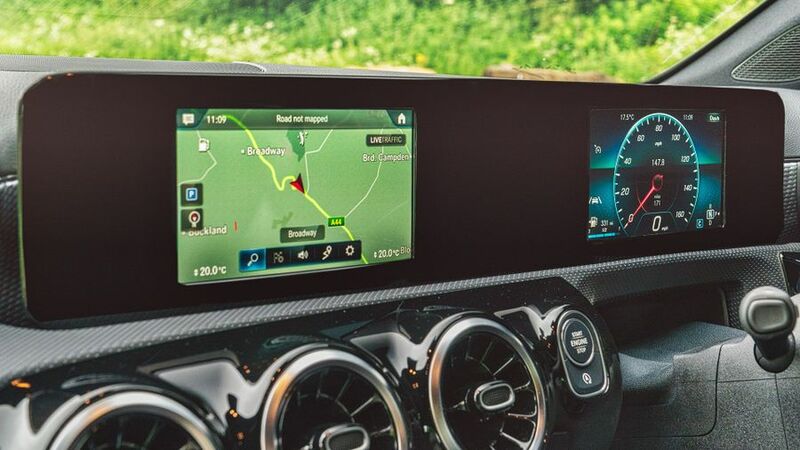 It’s a very in-depth and very customisable system that will undoubtedly require some time to get your head around, but once you’re up to speed with it, it’s reasonably intuitive to use, so long as you stick to the touchscreen interface. That said, it’s still less precise and more distracting to use on the move than using a traditional scrolling wheel. Technology aside, the seats are comfortable although we wish the seats adjusted lower, as the driving position might feel a bit high for taller drivers. The sports seats included in the AMG-powered A35 are better, though. Visibility is good, too, and the quality of the cabin materials is truly excellent, making it feel very nearly as plush as Merc’s bigger, more expensive models. And importantly, it’s a match for any of its rivals on quality, with the possible exception of the indicator/gear selector stalks, which feel oddly cheap compared to the rest of the car. The A-Class' cabin is roomy in the front and the back, with decent space for four tall adults, and five if they don’t mind getting a bit cosy. There’s a storage box under the centre armrest in the front, as well as two cupholders and a cubbyhole, and door pockets big enough for a bottle and assorted odds and ends. 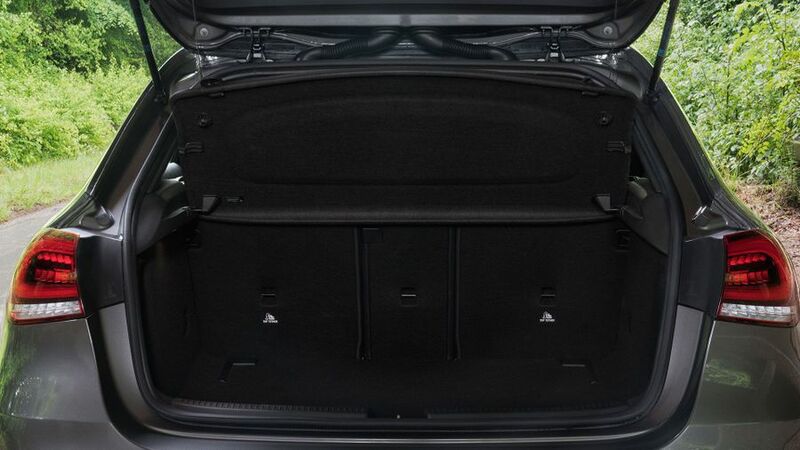 The boot, at 370 litres with the rear seats up, is virtually the same as the BMW 1 Series and the Audi A3, and the seats fold down flat. As is often the case with Mercedes, different versions of the A-Class come with different suspension setups, which will influence how your car drives. The more powerful versions, and cars with four-wheel drive, have a more sophisticated multi-link rear suspension, while less powerful models make do with a simpler twist-beam setup. 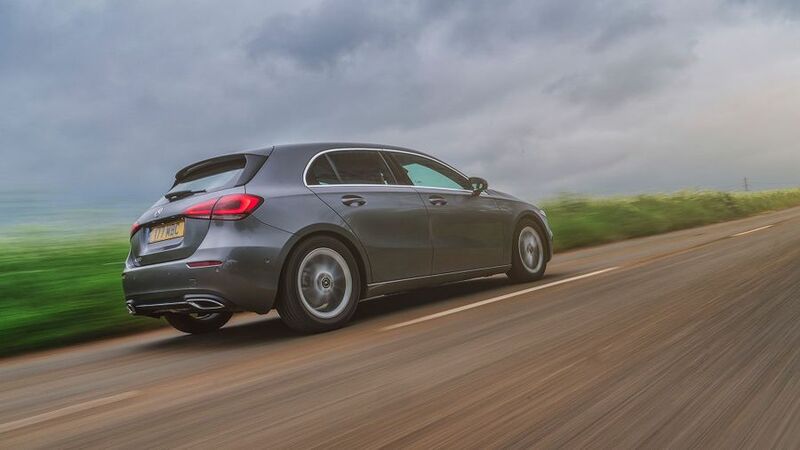 So far, in the regular, non-AMG A-Class, we’ve only tried the latter, and it’s rather disappointing. You feel too much of the surface beneath you, so unless the road you’re on is smooth enough to play an undisturbed game of billiards on, you’ll find the car fidgeting and hopping along in a really restless, unsettled way. Sharp ridges and potholes can be felt thudding into the cabin, too, and it all means that it trails the best cars in the class – by some distance – for comfort. The handling is far less problematic, but it still isn’t ideal. On the plus side, there’s a decent amount of grip to call upon, and the steering has a satisfyingly meaty weighting. However, the car feels slow to react to a turn of the wheel, and doing so causes the body to slop over in a slightly untidy fashion, even if the body control becomes more solid once the suspension settles to its task. You also hear the suspension going about its work a lot of the time, and you’re also subjected to a fair amount of road noise on the move. The A35 hot hatch has a stiffened body and, on the cars we’ve tried, optional adaptive suspension which thankfully isn’t too much extra cash. It’s impressive, with fantastic poise and grip through corners, although some might wish it felt a bit more playful. It’s clinically fast, rather than laugh-out-loud fun. The diesel A180d option is likely to be the most popular, and it has a 1.5-litre engine with 116 horsepower. It’s perky to react, which gives it a peppy character, although if you really put your foot down, you won’t get quite the performance that your initial prod of the pedal promises. Still, it’ll be more than brisk enough for most drivers. If you’re after a bit more performance, then the petrol options might be more up your street. The A180 uses a turbocharged 1.3-litre engine that produces 136 horsepower, but we haven’t tried it yet. The A200 has a 163 horsepower version of the same engine, which we have had a shot in. It feels pretty fizzy and responsive from low down on the rev range, so you can maintain decent progress without working it too hard, which is just as well because it starts to sound a little bit thrashy and strained when you do, and you don’t ultimately go a whole lot faster. That’s why we’d advise against combining this engine with the optional seven-speed twin-clutch automatic gearbox. In all of the various driving modes you can select, it’s a little hesitant to shift up and a little too keen to shift down, which means the engine is worked needlessly hard for too much of the time, making life rowdier than it should be. The gearbox is also a tad slow to engage when you’re pulling away, and you find that after an initial period of nothing happening, you then lurch forward more strongly than you meant to. For extra performance without going full AMG-spec, you might want to look at the A250, which has a 2.0-litre turbocharged engine with 224 horsepower. We’ve not had a chance to try it yet, but on paper, at least, the performance figures look fairly impressive. The A35 hot hatch has a cracking 306 horsepower, turbocharged engine that means very rapid 0-62mph time of 4.7 seconds. Look at the prices for the new A-Class and you’d rightly think “crikey, that’s a lot more than the Audi A3 or BMW 1 Series”. However, both of those rivals have all-new models on the way, which will likely be more expensive than the current versions. It remains to be seen if these prices line up more in the fullness of time. However, when you start crunching the running costs, things aren’t so bad, helped considerably by the A-Class’ strong resale values. 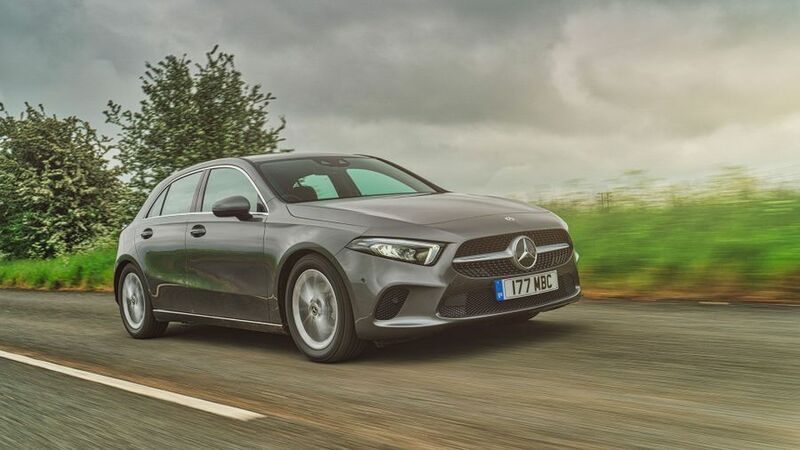 OK, the Merc is likely to be more expensive to service, maintain and repair than the Audi or the BMW, but the amount of money you’ll recoup when selling it should make it, overall, broadly similar to the competition when it comes to the long-term financial impact. Mercedes-Benz has a mixed reputation for reliability. Warranty Direct’s Reliability Index, which ranks manufacturers by past performance, places the company in the lower half of the table, albeit above BMW and Audi. The previous A-Class has a pretty poor score when considered as an individual model, too. On the flipside, JD Power’s 2017 Vehicle Dependability Survey places the brand above the industry average, albeit only just, and again, it’s considerably better rated than either Audi or BMW. Have a scan of our owner reviews for previous versions of the A-Class, and you won’t find many horror stories. Obviously, you can only tell so much about a car’s reliability by looking at how previous models have performed, but until there’s a decent amount of reliability data on the latest car, that’s all there is to go on. The latest A-Class hasn’t yet been crash tested by safety organisation Euro NCAP, but Mercedes has an excellent history of scoring the maximum five-star rating, and we don’t expect that to change here. The previous A-Class managed that milestone, although that was back in 2012 when the tests were much easier. 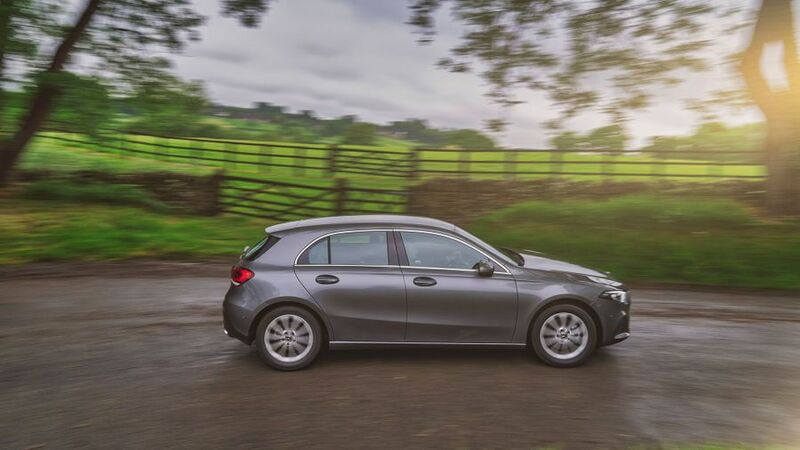 Standard equipment on all models includes active lane-keeping assist – which, as the name suggests, stops you veering inadvertently out of your lane – and Mercedes Me, a high-tech package that will automatically call the emergency services should you have an accident. Automatic emergency braking – which will intervene should you fail to react to an impending accident – is also standard, as are seven airbags and two Isofix child seat fixing points. Basically, everything you need and more is included on every version. Excellent. There is a tonne of kit available on the A-Class, but much of it you’ll have to pay extra for. The entry-level SE comes with the funky double screen display (albeit the smallest version), air-conditioning and faux-leather upholstery, as well as Mercedes’ advanced voice control system. The Sport model adds dual-zone climate-control, in case you and your passenger like the air to be different temperatures, and the AMG Line model brings you some funkier upholstery. The A35 comes with keyless entry and start, automatic climate control and an upgraded braking system. The options list is rather small, replaced instead with three different package options that bundle things together. The Executive pack upgrades the media display to a larger 10.25-inch version, and also adds heated front seats and a self-parking function, while the Premium pack (available only on Sport and AMG Line models) also increases the size of the instrument display to 10.25 inches. In addition, it lets you lock and unlock the doors without using a key and gives you a better sound system. Premium Plus gets you all of the above, plus a panoramic sunroof and some extra clever headlights that can put full beam on while keeping oncoming cars in shadow, to avoid dazzling them. All these features are impressive, but will add the best part of three-and-a-half grand to the price. And if you want the cleverest navigation features – including a natty augmented reality function – then prepare to chuck in hundreds more. The same applies if you want Apple CarPlay and Android Auto, to connect up your smartphone, which is pretty mean when so many other (cheaper) cars provide this as standard. Because you’ve fallen for the sharp looks and you like your car to have a premium badge, and you’re prepared to pay for it. And pay you will, not just financially, but also in terms of comfort and quietness, as these are areas in which the A-Class does not excel. You’ll have to decide whether the classy interior, competitive practicality, innovative technology and generous luxury and safety kit are enough to make up for that.